The older I get, the more I realize how taking care of my hair and skin is extremely important. If only I knew then what I know now when I was in my early 20s. I really, really would have done things differently. I spent too many nights going to sleep without taking my makeup off, being very harsh on my hair and not taking an extra minute to apply moisturizer all over. But, because I’ve come to my senses and use salon quality products every day in the comfort of my own home, I’m confident my skin is healthier today than it was 15 years ago. I’m also taking better care of my hair and I am starting to notice a difference. We’re busy right? Right. A trip to the spa or salon isn’t in my monthly budget, nor can it fit into my calendar. But, just because I can’t make it to the spa doesn’t mean I can’t get the results I want at home. 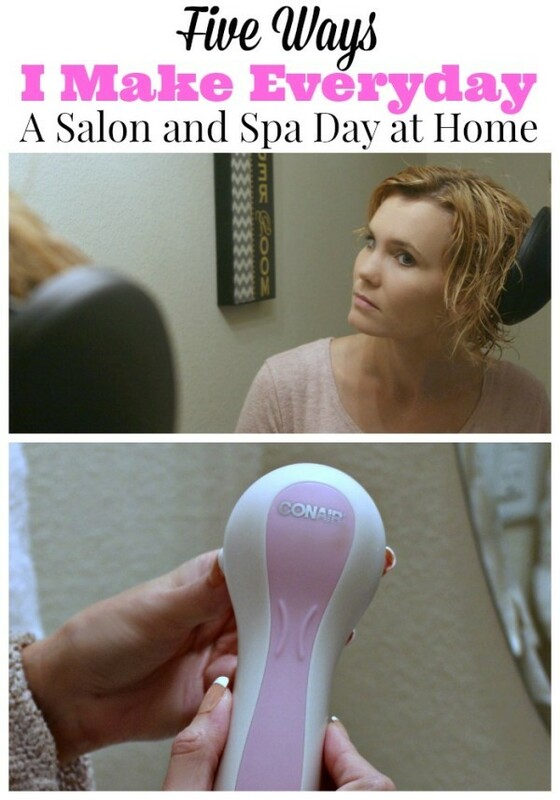 Here are five ways I make everyday a salon and spa day at home. I have had incredibly bad luck with hair dryers. I’ve experienced ones that got so hot, they actually fried my hair (seriously, I had to get a hair cut) to one that once shorted out and actually shocked me. Needless to say, I have gone through quite the selection of hairdryers ranging in price from $5 to $500. Believe it or not, the $500 one is the one that shocked me. Ha! Let me introduce you to the Infiniti Pro by Conair 3Q Styling Tool. I have naturally curly hair and during colder months I flat iron it and also use a curling iron quite a bit. But when it comes to summer time, I embrace my natural curls. The trick is finding a hair dryer with a diffuser attachment that doesn’t make me look like I stuck my finger in a light socket. 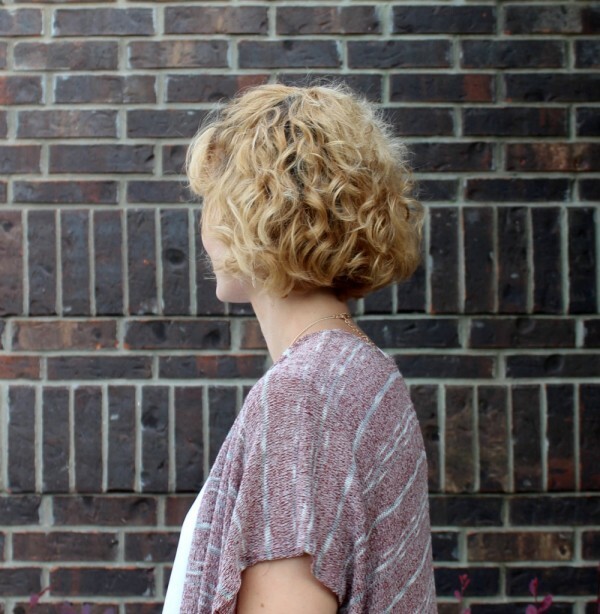 Every time I get my hair cut, my stylist loves to bring out my natural curls. But I haven’t been able to get it to look like she does, until now. And here are a couple of shots after…Hello there curls. Do you pay big bucks to get a blow-out at your salon? 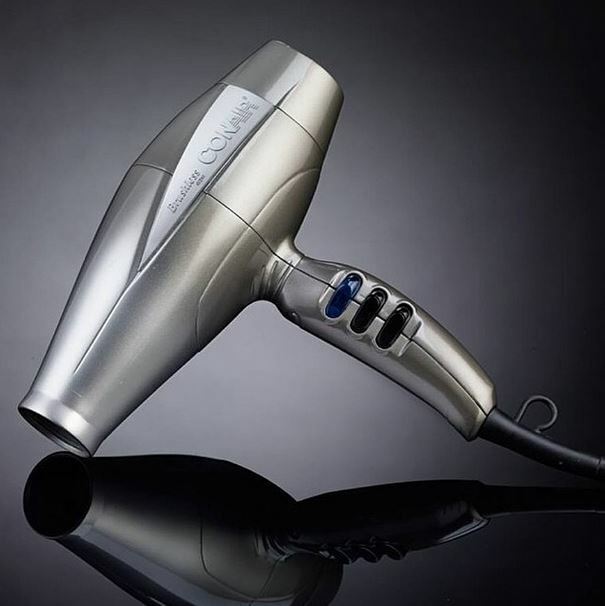 The Conair 3Q Dryer can give you a salon quality blow-out that will lasts for days. Do you love Conair products as much as I do? 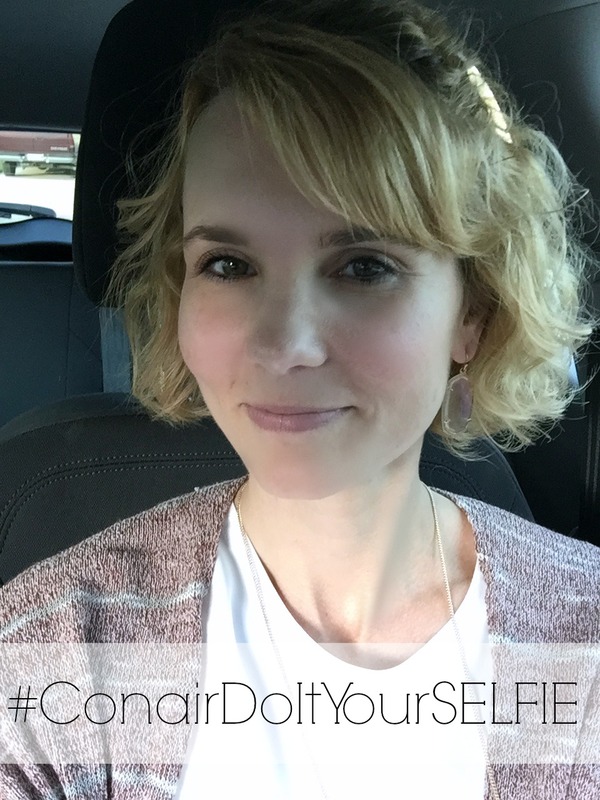 Be sure to enter their #ConairDoItYourSELFIE sweeps where you could win fantastic Conair products or gift cards to retailers who sell Conair products. The sweeps launches Monday, June 8th at 3 p.m. ET and will run through Thursday, July 2nd at 12:00 p.m. ET. You can find out more about the sweeps on the Conair Facebook page. 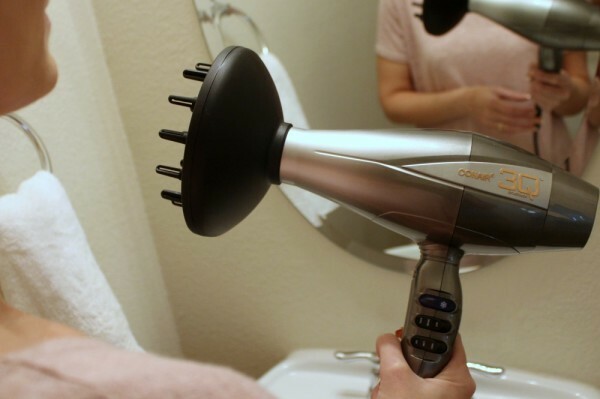 Plus find out more about the Conair 3Q Dryer here. I’ve seen the commercials. I’ve had friends who swore by them. And now I know why! 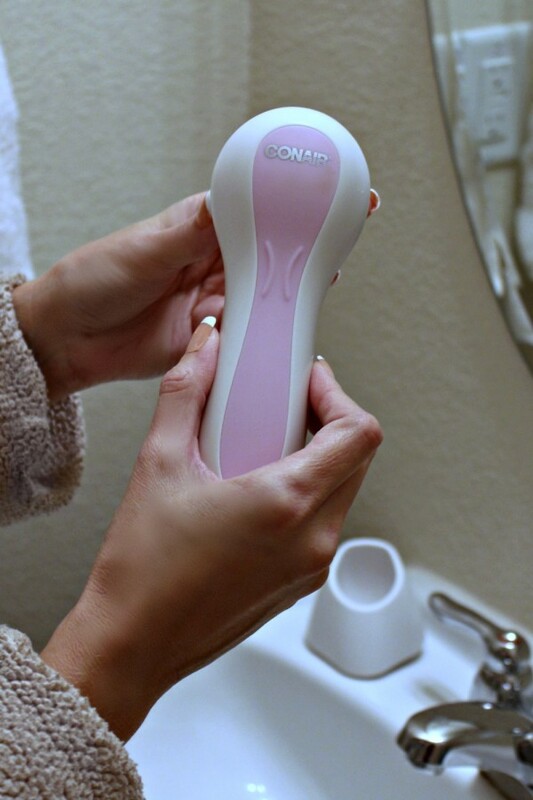 I’m talking about cleansing brushes, the Conair True Glow Sonic Skincare Solution to be exact. I struggle with rosacea and noticeable pores on my cheeks. I’ve learned tips and tricks along the way to cover these skin issues up with makeup, but I’ve been getting pretty tired of always having to cover up. 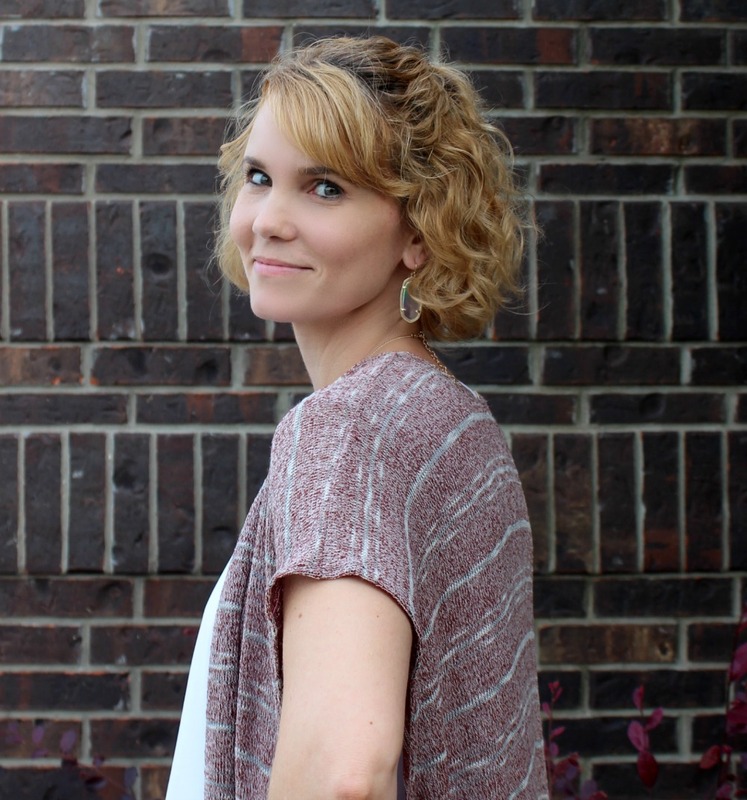 I’ve been using the Conair True Glow brush for almost two weeks and not only do I notice a difference, but so does my family. In fact, we were hiking the other day and I barely had on any makeup – a little powder and mascara, when my husband looked at me and said, your skin looks really, really good. My daughter chimed in and said the same thing. 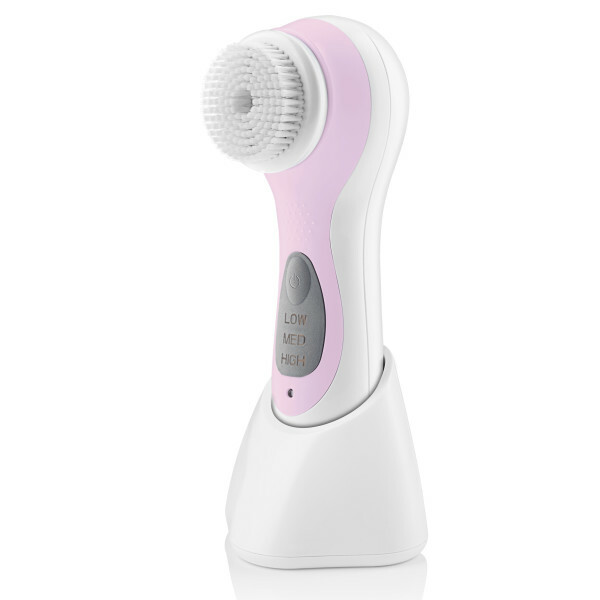 The only thing I’ve changed up in my skin care routine is adding this cleansing brush. I am a BIG fan. I’m planning on buying extra brushes for my two teens to use because I’m convinced they’ll notice a difference in their skin if used regularly. The last time I went to the spa I received a facial and massage. Both ladies reminded me of how important it is to moisturize every day, no matter the season. I use a heavier moisturizer in the winter and a lighter one in the summer. Right after I get out of the shower, the first thing I do is apply moisturizer everywhere. My skin is still slightly damp and perfectly ready to soak in some moisture. My skin has never been so soft as it is now. I feel amazing when I slip on my clothes and have noticed my skin looks healthier. Another tip I received when I was at the spa, was to use a retinol cream every night after cleansing. From fine lines and wrinkles, to age spots and uneven skin tone – my skin is letting me know I’m aging. Thank you skin. But, as long as I put good food in my body, drink plenty of water and stick to a great skin care regimen every night and morning, I’ll be just fine. 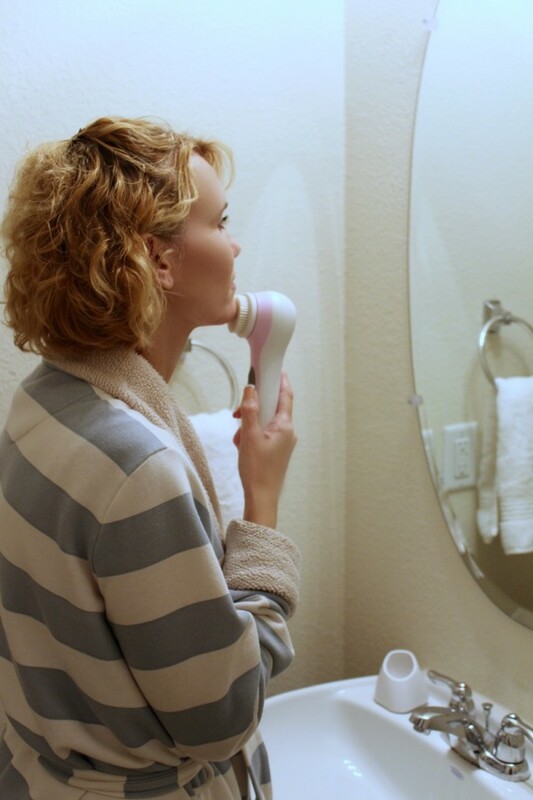 My nightly beauty routine goes like this: Cleanse with my beauty bar and Conair True Glow cleansing brush, apply toner, apply eye cream, apply retinol. Whether I’m taking a long soaking bath in the tub or getting myself ready in the morning, I play music. You see, I’m a chronic hurrier. It’s a thing. I am ALWAYS in a hurry and this is something I’m working on. When I’m at the spa, they play soothing music that makes me want to stay there all.day.long. When I’m at the salon, they play happy music that just puts me in a good mood. I’ve started playing music more and there’s just something about it that is both soothing and happy. Do you have any at home spa or salon tricks you like to use? Please share! Don’t forget about the #ConairDoItYourSELFIE sweeps that starts June 8th! You can find Conair on Facebook, Twitter, Pinterest and Instagram. For more information about Conair’s full line of styling and skincare products, visit Conair at www.conair.com, and follow the brand on Facebook, Twitter, Pinterest, and Instagram for great beauty tips, tricks, and giveaways!